Marvel Studios has officially announced the production start of Avengers: Infinity War via a featurette that shows Robert Downey Jr. (Tony Stark/Iron Man), Tom Holland (Peter Parker/Spider-Man) and Chris Pratt (Peter Quill/Star-Lord). Tom Holland will be reprising his role as Peter Parker/Spider-Man. Chris Pratt‘s Peter Quill/Star-Lord will also be joining the fray. Stark’s universe now involves Peter Parker, the Guardians and Doctor Strange. 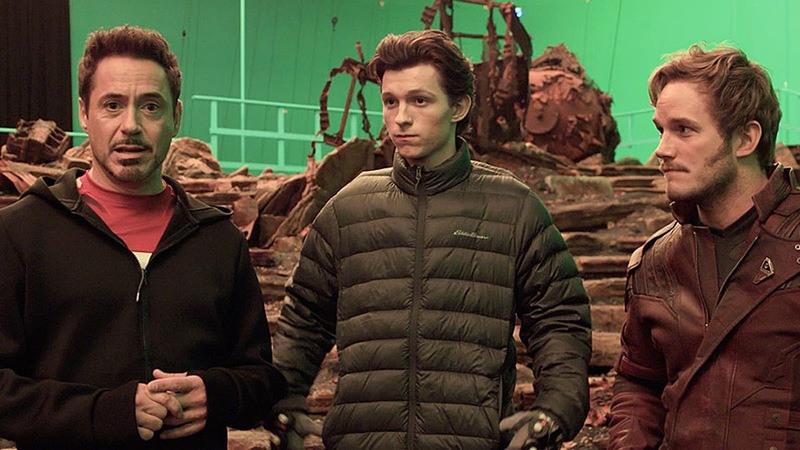 The three Avengers the Russo brothers would go on a family vacation with: Tony Stark, Peter Park, and Vision. Start of production officially began last month in Pinewood Atlanta. The Avengers are completely unprepared to face Thanos as a result of the events of “Captain America: Civil War” leaving the Avengers a team name with no team members. Avengers: Infinity War will hit US theaters May 4, 2018, with the second part following on May 3, 2019. Continuing a cinematic universe that launched in 2008 with Iron Man, Infinity War promises an epic story that will bring in characters from a decade of films. The cast includes Robert Downey Jr., Chris Evans, Chris Hemsworth, Elizabeth Olsen, Sebastian Stan, Scarlett Johansson, Chris Pratt, Zoe Saldana, Benedict Cumberbatch, Pom Klementieff, Tom Holland, Peter Dinklage and Josh Brolin as Thanos. Directors Anthony and Joe Russo, who return after Captain America: Civil War, are directing both Avengers: Infinity War and the untitled second half, which will close Marvel Phase 3.